During a recent day trip to Assateague Island, I made a stop at the "new" visitor center. 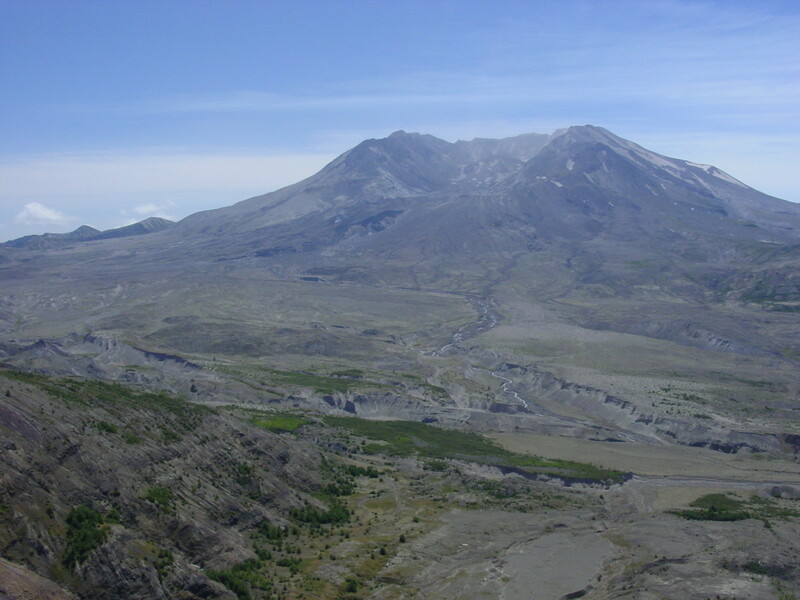 While the visitor center was completed some years ago, I had not yet taken time to stop and enjoy it. Since I had visited the previous building that housed the visitor center my assumption was there would not be anything new to see at the new building. It is a good thing that I have no problem being able to admit when I am wrong. And I was wrong. 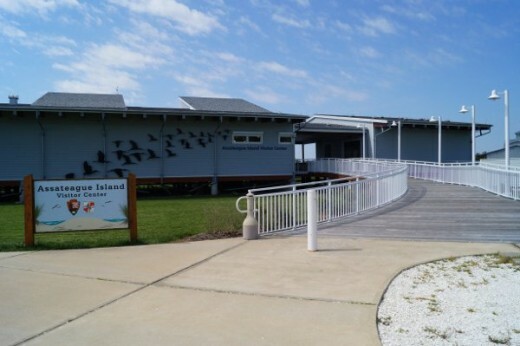 The current Barrier Island Visitor Center in Maryland is great. Definitely worth the little bit of time it takes to pull in to the parking lot and go see what is inside (and outside). 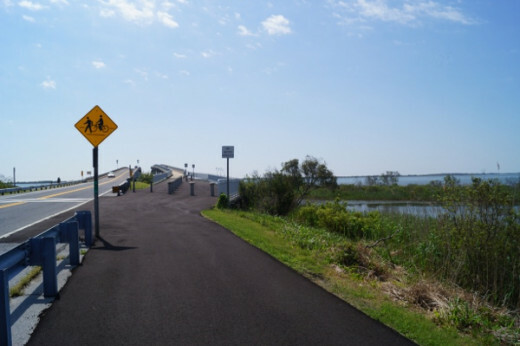 Next time I go to Assateague Island I will certainly stop again and enjoy the views, the exhibits, the deck, and the walk across the Verrazano bridge. Image Credits: Unless otherwise noted, photographs are mine and have been taken during my travels. All rights reserved. The original Assateague Island, Maryland visitor center was built in 1967, and was the center that I had visited years ago. I remembered it as a small building with some small exhibits and a gift shop. As I made my book purchases, I could see and hear the kind and engaging park rangers answering questions for the people headed into the park. 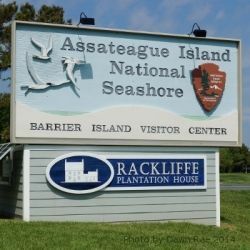 Since I felt very familiar with the island, at least with the things I do while at the Island, I hadn’t felt the need to stop at the visitor center again. 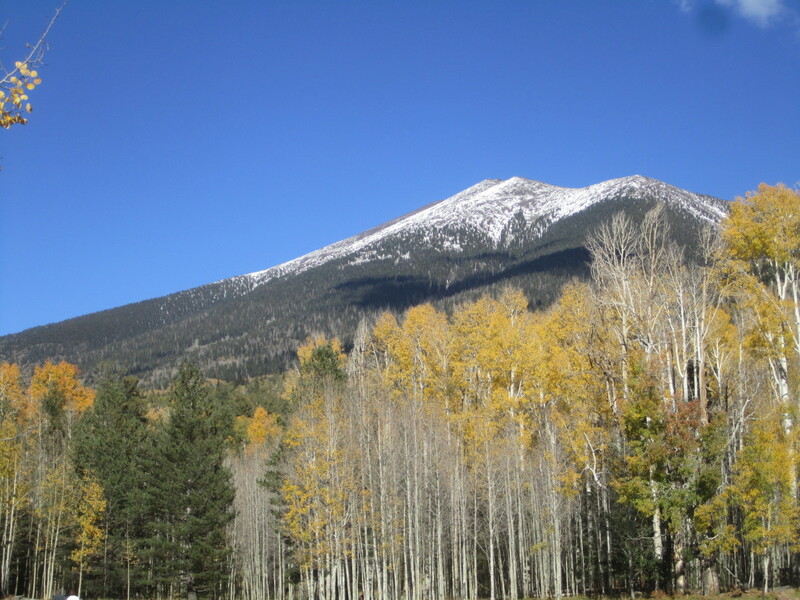 In October 2010, the new visitor center was opened. I continued to just drive past for years. I decided to stop during my first trip this year. Inside, The building is a pretty 10,000 square feet of space that houses exhibits, a gift shop, aquariums, auditorium, and park services (both the state park and National seashore park portions of Assateague). The widow-walled bay side of the building is a great place to just look. I watched the distant water birds from that window for a bit. 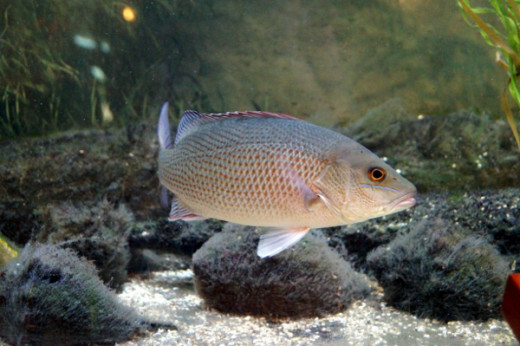 I wandered the center and watched the native fish in the aquariums. There was a short film presentation in the auditorium while I was meandering, but I chose not to stay and watch. Maybe next time. Instead, I headed outside. Outside, there are clean and roomy restrooms (always a plus in my opinion), viewing decks, a fire pit with benches, and the waking path to the Verrazano bridge. 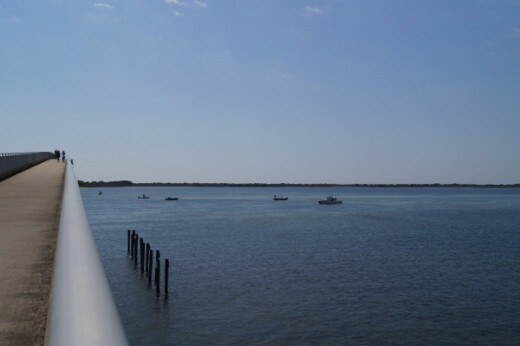 I walked up to the top of the bridge and watched the fishing boats for a bit. Thoughts about future visits included bringing my book because that deck and rocking chairs are prime areas for sitting outside to read. And thoughts about the kayak I need to have so that I can launch from this area and explore the bay side of the island. A pony exhibit with a life-sized model foal. Aquariums are among some of the exhibits. Who is really being watched? 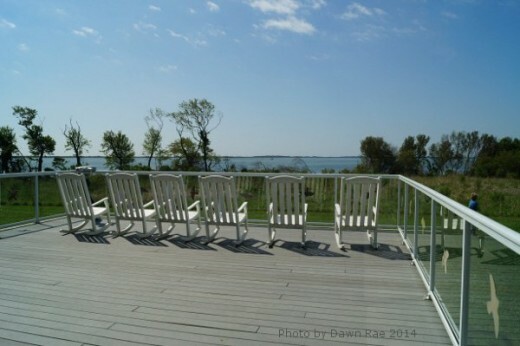 Rocking chairs on the observation deck. The Verrazano in Maryland is the bridge that crosses the Sinepuxent Bay to connect the Maryland portion of Assateague Island to the mainland. 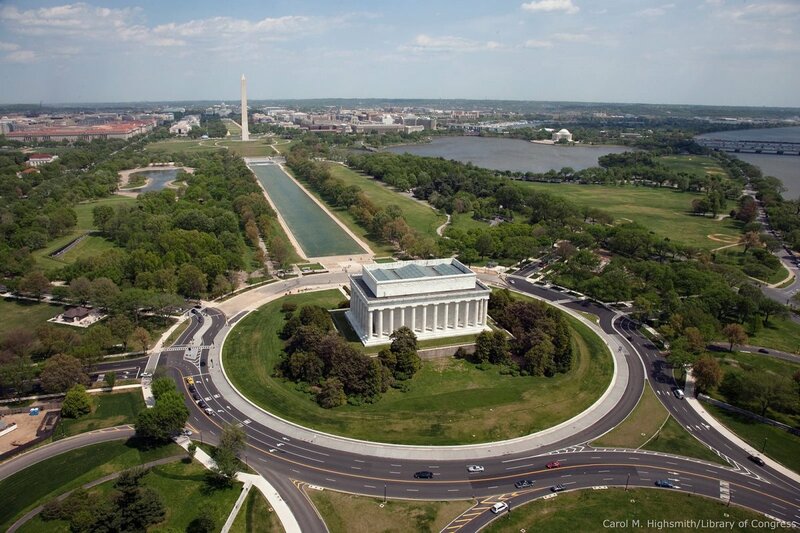 Be careful not to confuse it with the Verrazon-Narrows bridge in New York. The bridges are similarly named because they were both named for Florentine explorer Giovanni da Verrazano. The Verrazano bridge I’m referring to is located on Maryland Route 611. It is also a historical waymark at N 38 14.842 W 075 09.128 18S E 486688 N 4233272. 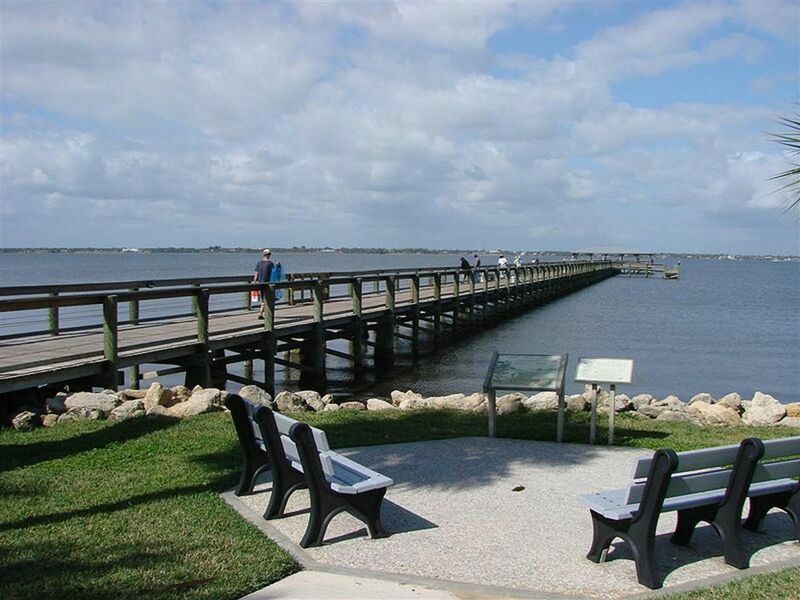 It is a two span bridge that provides a span dedicated to walking and biking traffic. Parking is located on either side of 611. Many folks use this area to enter the area by foot, bike, or small boat like a kayak. I am very glad that I walked the bridge during this most recent trip. If something about the approach to Assateague on Maryland Route 611 looks familiar, perhaps it's because you've seen the movie Runaway Bride. This popular 1999 movie starring Julia Roberts and Richard Gere was filmed in Berlin, Maryland. 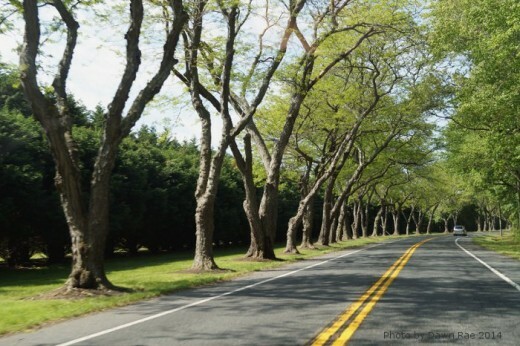 This stretch of road and line of trees is easily recognizable. 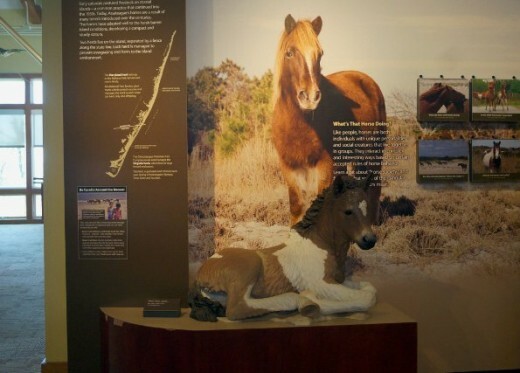 This was just a small glimpse at the Assateague Visitor Center. I enjoyed my stop so much that I had to share with you. If you are ever in the area, I hope you take time to stop and enjoy some of the exhibits, or gifts, or just sit in the chairs and rock. I will also visit other points of interest in the area. A historical small town. Interesting in it's own right. Additionally exciting for Runaway Bride fans. 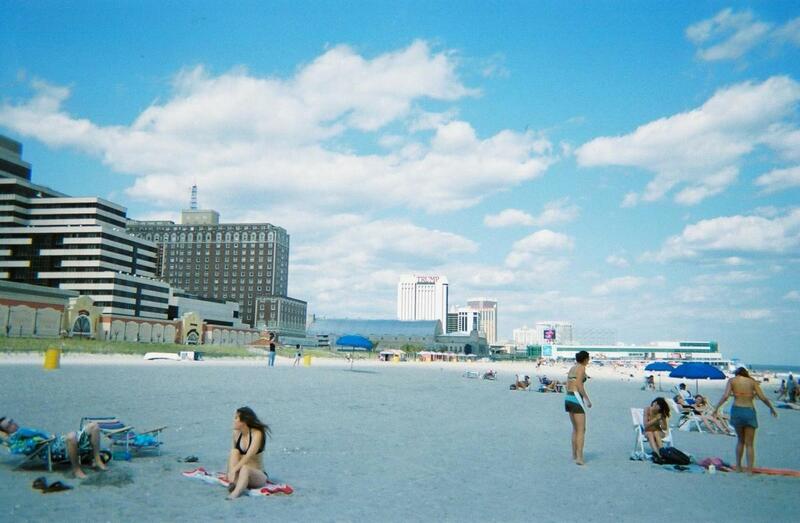 A wonderful beach town; combining beach, hotels, festivals, restaurants, and a boardwalk. Rehoboth beach near Ocean City. I have this on my list of day trip destinations. Chincoteague. A wonderful family vacation destination. Prefer the nightlife to the sand? Enjoy gambling? There is a casino in the area. This is a conveniently located campground and water park. I visited once, in the group tent section and enjoyed my stay. 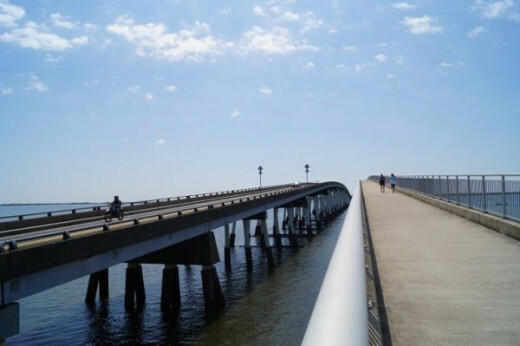 For more information about the Maryland Eastern Shore. 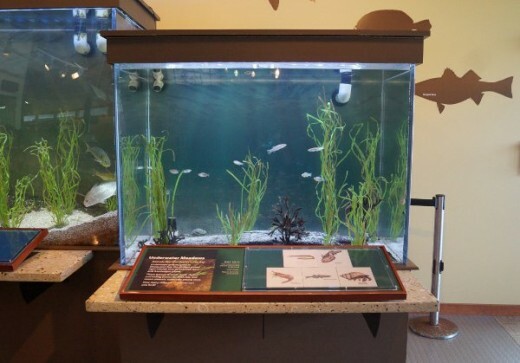 Do You Visit Visitor Centers? - I would love to hear what you think. Maryland is definitely on my bucket list of places I'd like to visit. 4 years ago from Desert Southwest, U.S.A. I really like a good visitor center. You can get answers about the area and the place you're visiting! 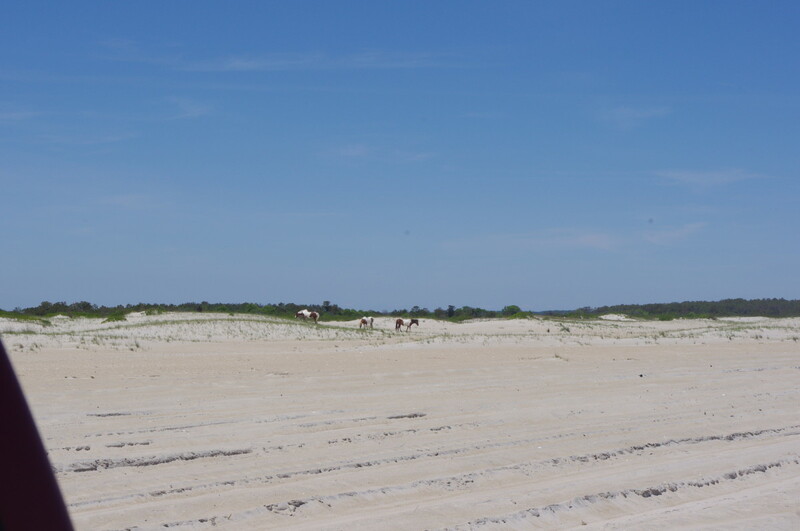 I'd like to visit Assateague some time. And yes, I have found Visitor Centers to be quite helpful, and usually entertaining. Most of my visits to visitor centers have been restroom pit stops and then walking my dog Tidbit before it's back to the car and on the road again. You've definitely shown me I need to spend more time and attention to what visitor centers have to offer. I would definitely not want to miss the one in Assateague Island!